Ystrad Rhondda advanced to the next round of the Swalec Plate but they were pushed all the way by a workmanlike Fairwater outfit. It was a game of endless endeavour on a seriously heavy pitch at Ashcroft Park with tries coming from Ystrad’s Dai Gratton and Anton Phillips for the home side. The boot of Alex Webber proved to be the difference on the day as the visitors won the game by 16 points to 5. 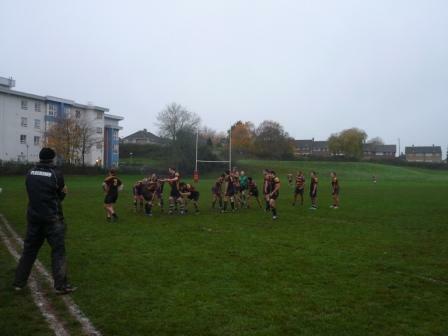 On a filthy day in Fairwater, a resurgent Plasmawr side recorded their first win of the season against Bassaleg of Newport.